At Nebraska Medicine, we highly value those who give of their time, talent and resources to provide exceptional care. Whether you give through volunteering, financial means or a tribute of appreciation – we consider any and all a tremendous gift which provides a higher level of care and personal touch. There are many ways to share your time, talent and resources to support the patient experience at Nebraska Medicine. By exploring the many options below, you are beginning the journey of giving back and making a difference in the lives of others. We welcome any feedback on how we can improve, or what about your care hear you especially appreciated. Provide your feedback. In giving to Nebraska Medicine, you enable us to build better and more modern patient facilities, make purchasing state-of-the-art technology possible and allows us to assist patients and their families receiving care. Nebraska Medicine has partnered with the University of Nebraska Foundation to raise private support to help us bring serious medicine and extraordinary care to all patients.You can make a donation to Nebraska Medicine on this website. Creating a planned gift requires much thoughtful consideration and discussion. Our office will work with individuals and their professional advisers to design a plan that fits each unique situation to achieve financial planning and estate goals. Learn more about making a planned gift to Nebraska Medicine. Looking to make a unique difference in people's lives? Give the gift of you! 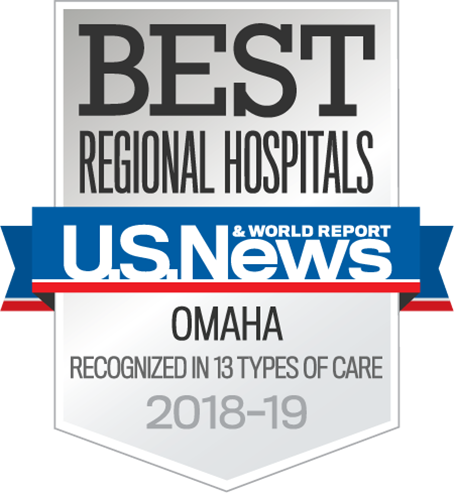 We are looking for people with a passion for helping patients, their families and staff at Nebraska Medicine. By choosing to volunteer, you are providing that extra special touch to people who need it. There are many unique opportunities to volunteer. Day and evening shifts are open, seven days a week. Whether you are a person who likes to work with people, are project orientated, want to try something new or utilize your existing skills, there's something for you. Learn about the process involved with becoming a volunteer. 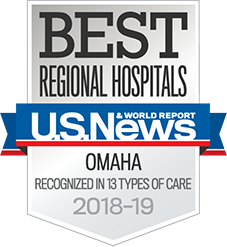 Grateful patients at Nebraska Medicine often inquire about how they can give back to the hospital for the exceptional care they received while at Nebraska Medicine. Celebrate Your Care is a program designed to pass notes of thanks back to caregivers and if desired, make a donation to the specific area where an individual was treated. Send a note to a caregiver who made a difference to you or your loved one. Nebraska Medicine has partnered with the University of Nebraska Foundation to raise private support to improve the quality of care the hospital provides. Feel free to contact any member of the team for additional information on how you can give back. Our email address is info@nufoundation.org. To learn more about philanthropic opportunities or to give online, please visit nufoundation.org/nemed. Donations may be sent to the University of Nebraska Foundation, our designated fundraising partner, at 1010 Lincoln Mall, Suite 300, Lincoln NE 68508. If you’d like to make a donation in honor of someone, please include the honoree’s name with your correspondence and make checks out to Nebraska Medicine.